I get some really low framerates on this map, only one so far (except for the other performance issues, memleaks and audio glitches ~30fps, but I'll manage that for now) where I avg. ~10fps no matter where i look. 2. 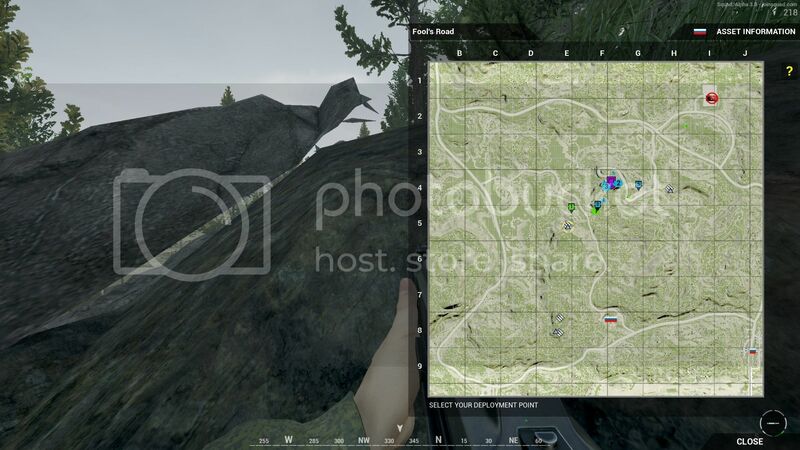 The first cap for the Russian forces is the village across the bridge - I would suggest moving that first flag farther back into a valley - too easy to camp the Russian Main if it's lost (witnessed it firsthand last night). I have screenshots to prove it if you like. 3. 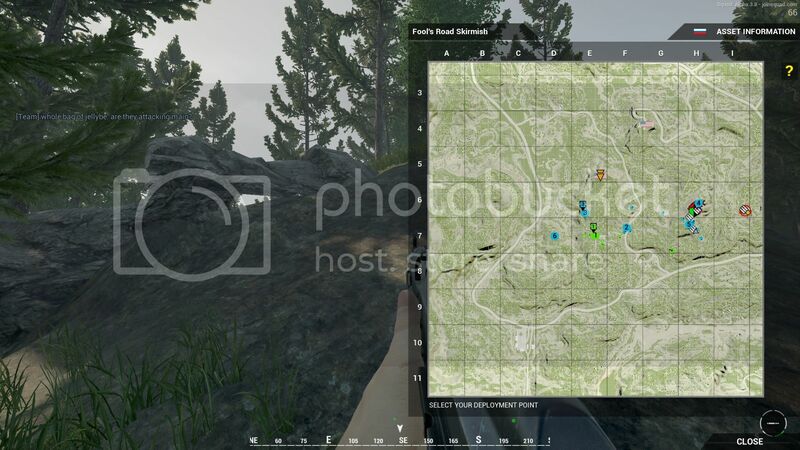 When all flags have been capped and defended, I would suggest one of two scenarios if ticket bleed is not employed......first, have preset spawn points not visible on the map (like the mains) that the OPFOR can choose to spawn in on. Second, reset random flags in favor of the OPFOR being overrun to force the BLUFOR to adjust their tactics. 4. Establish a programmed no-kill zone that prevents main camping. Not a major one but noticed this last night. At the village north of the Russian Main, there is a red container at the NE corner of the village with grass growing inside the metal container. Location is K8 kp5. My position marker on the map in the link is as I am looking at it. Also found out that people can get stuck in some trees! It mostly happens when they are lying down. A couple more ss' for you IronTaxi. Gap in the hillside [email protected] linked screenshot. Hope it helps, loving the map. I think the original one looked bigger, don't know why. Probably because there were less trees around making it a bit more open. Various cliff tops have invisible faces, couldn't get screen but there are multiple locations. To see the invisible faces stand at the top of the cliff and look down at it, where the terrain curves off underneath several have the invisible face exposed. we are working our way through them. Kind of fun having hte community experience the map as it evolves. should get a big update by end of january to open up the whole map. 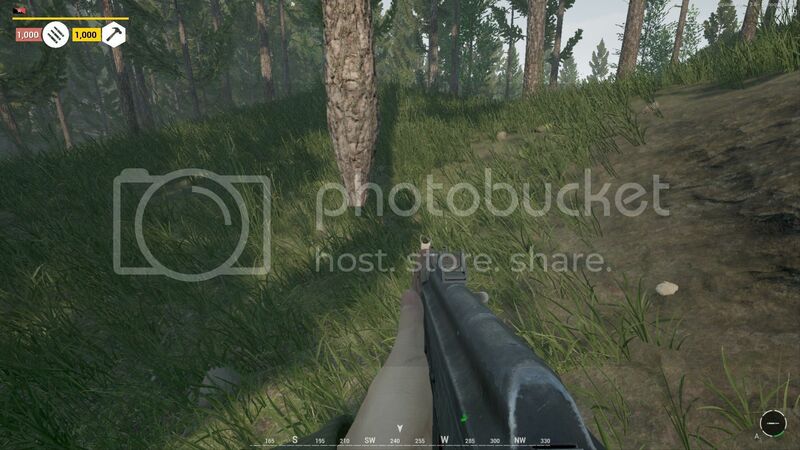 We are going to do some subtle thinning of trees to give lower video cards a bit more of a chance. Why not simply allow the player to tweak the amount of ambient occlusion and tree rendering quality for themselves in the graphics options? At least that way you probably don't have to call a bunch of lumberjacks to come and chop down half of your forest? I'm no developer/mapper, but at least this way (if even possible to begin with) would benefit all. Found an uncapped texture on a rock today....it is located at Echo 5 Keypad 6 as you are partially up the hill at the base of the rocks and are looking SW.
Theres another one of these in F8, had a guy fall into the terrain and was shooting out through the mountain. Dont have a screen shot unfortunately. Not sure if this if a specific bug/glitch with Fools road or just a bug in the game, but this stuff is pretty damn annoying. Had it happen couple of times now on the big hill flag. He is inside one of the rocks you see reported here many times, if you see that report it to the admin, its pretty much abusing a glitch. 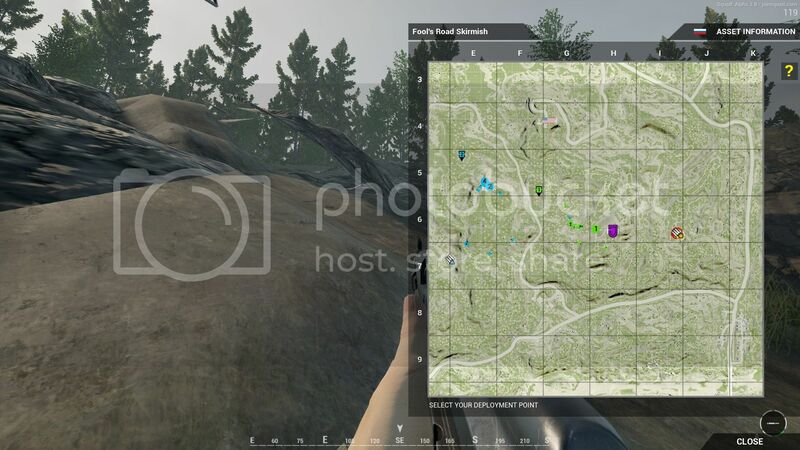 If there is no admin just ask for a RPG to blast him out of that rock. Not like rulie...I found this floating pencil tree in the woods, but i was so tired i forgot to get the map location...the darn thing could be anywhere!! 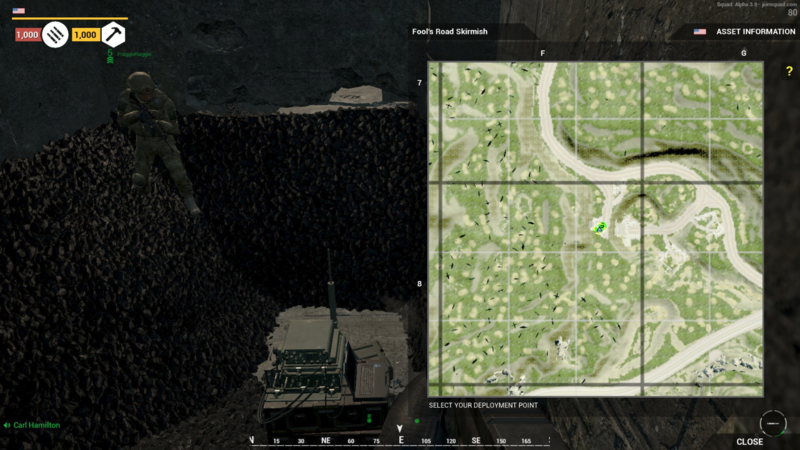 East bunker prone bug. 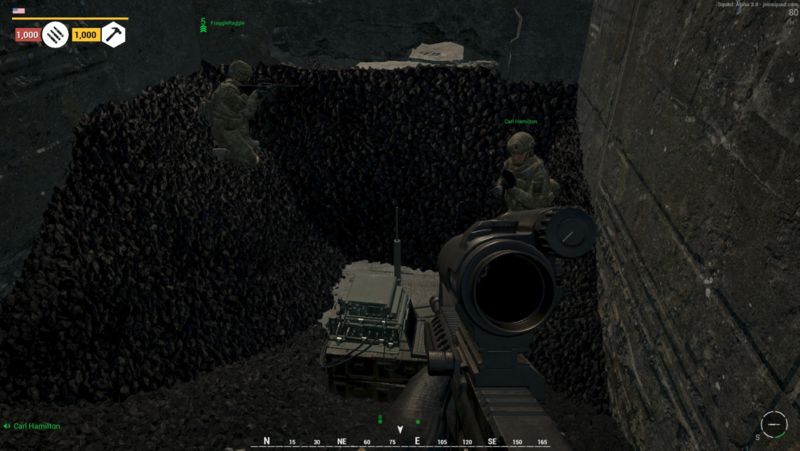 If you prone next to the wall, you are unable to move, prone or stand up. 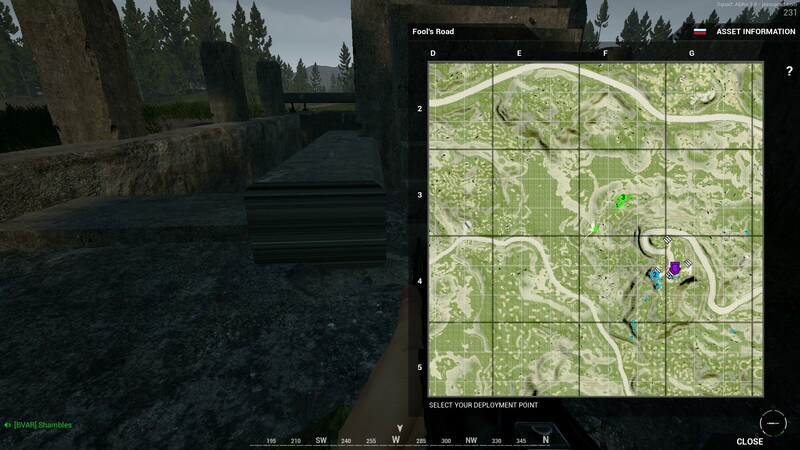 There are loads of see through and easily accessible mountain walls all around the map and most noticeable around the concrete bunker at the hilltop encampment.